Referrals to the service are usually made by G.P.’s and other healthcare professionals. However, some services accept referrals directly from patients/family members/carers. For specific details, please see individual service information which you will find under the “Our Services” tab above, or by clicking on the options in the left hand menu. 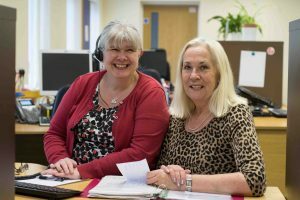 Alternatively, if you would like to discuss a potential referral with a member of the team, please contact the Clinical Team office on 01228 603208 where someone will be available to help you.